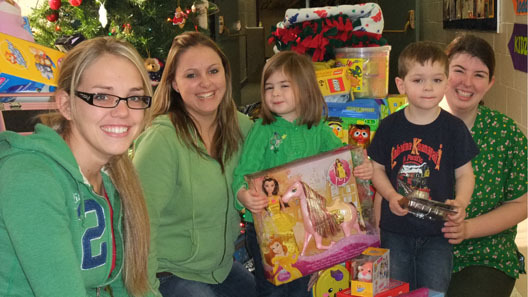 Calvary Day Care and the parents of the children that attend in Simcoe, have been collecting toys for children at Christmas for the last three weeks. They have graciously donated them to our families in need. Kristen, Ashley and Jennifer, with children Jack and Claire are seen here in the photo.